If you are looking for information on the RimTyme franchise business opportunity, RimTime franchises or Rim Tyme franchising, then you have come to the right place. At RimTyme we are driven by our company values - "People Helping People" and we are in this business to make the dream of ownership both a reality and a positive experience. We are committed to creating value for our franchisees by supporting them with superior systems, programs and processes every step of the way. And we are driven by the successes of our franchisees who lead the industry in customer service and respect. One of the hallmarks of the RimTyme opportunity is the flexibility that allows franchisees to operate as independent business people, while maintaining the brand and benefitting from the RimTyme operating system. RimTyme is arguably one of the best investment deals available and a truly exciting business for the enthusiastic entrepreneur. Led by an executive team with 60+ years of combined retail, rental and franchise experience, we help our franchisees with business plans and site selection as well as remodeling, lease negotiations, exterior signage, inventory orders and equipment specifications. 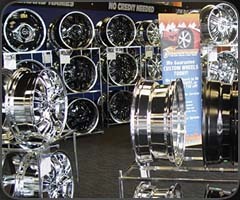 And before their first RimTyme store opens, each franchisee partner will have access to some of the finest and most comprehensive training programs in the custom wheel industry. 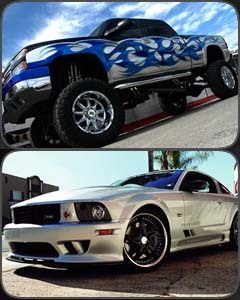 "RimTyme provides unparalleled support with financing, marketing and sales. My decision to become a RimTyme franchisee has been instrumental in my ability to improve both my personal and professional lifestyle." Our franchisees describe the opportunity they have with RimTyme as the best of both worlds: the autonomy to run their business as they see fit and treat each customer with personalized service, paired with buying power, inventory, financing, marketing and training programs. We go beyond running a franchise system. Demonstrating a strong commitment to the brand, we are building at least 10 new company operated RimTymes over the next 12 months. RimTyme offers strong financing programs for franchisees who qualify and need financial assistance in order to own their own business. RimTyme is the guarantor for qualified franchisee 100 percent inventory financing and capital loans. RimTyme's purchasing power of top brand name products for its franchisees is among the best in the country, and the number of vendors that want to supply RimTyme is growing rapidly. 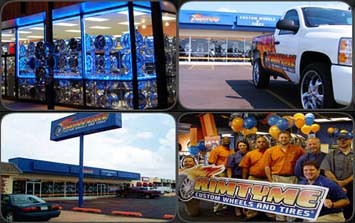 RimTyme was developed by ColorTyme, the oldest and most experienced rent-to-own franchise company in the U.S.
RimTyme's experience, buying power and financing arrangements allow our franchisees to maintain the necessary inventory to provide customers with what they want - to ride today! exCEL (our rent-to-own in-store training program) offers the skills that enable franchisees and their team members to succeed. Specific state-of-the-art wheel and tire training is provided at your location as well. Day-to-day business activities are simplified and cost effective, using state-of-the-art store operating and accounting systems from third party providers. RimTyme's preferred real estate broker assists with site selection and lease negotiation (no charge) to give each RimTyme store a great start in the community it serves. Franchisees also have access to free legal counsel regarding lease contracts and associated paperwork. RimTyme customers are loyal in part because we have the brands they seek, the latest technology and the industry's best equipment. Additionally, with the autonomy RimTyme allows, franchisees can customize orders as required. RimTyme's in-house marketing department has three full-time marketing and graphics professionals to work on effective marketing programs and spectacular graphics. Ads can be stock or customized. Marketing may create and develop direct mail marketing, broadcast media, web advertising, point of purchase display materials, promotional guides and calendars, yellow page advertising, on-hold advertising and much more. A franchise field consultant is assigned to each franchisee to lend support when needed. Franchisees are also assigned a purchasing professional who will handle any issues that arise in their inventory purchasing. Seasoned financial help is also available for advice or assistance with financial plans and cash flows. "We opened our first RTO store four years ago and our first tire rental store two years ago and quickly learned the tire rental business would be a profitable investment. It grew faster than our traditional RTO business. People are excited about fixing up their cars and it's a trend that's only going to grow." If you are looking for a new business opportunity in the automotive industry or if you own an independent wheel & tire store(s) and are interested in converting to a RimTyme store(s), we would like to hear from you!